A new method of treatment for antibiotic-resistant bacteria and infectious disease has been discovered, according to a study published in the American Journal of Respiratory and Critical Care Medicine. It describes a new treatment pathway that benefits patients as well as healthcare providers. Researchers from the University of Birmingham and Newcastle University discovered a rather unusual approach of removing antibodies from the bloodstream, which reduced the effects of chronic infections, days spent in the hospital, and the use of antibiotics. 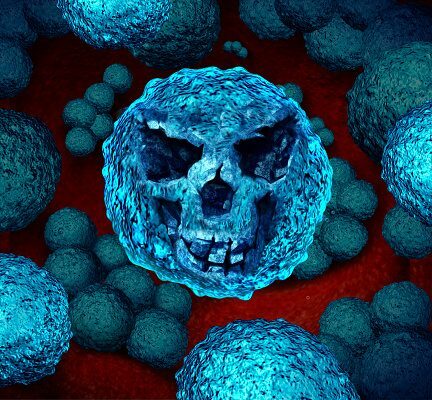 In the study, two patients were identified with an infection that was resistant to antibiotics, a 64-year-old male, and a 69-year-old female. Both had a respiratory infection called bronchiectasis, which is associated with the bacterial organism, Pseudomonas aeruginosa. The bacterial organism in question, Pseudomonas aeruginosa, commonly occurs in patients suffering from bronchiectasis and is known to be a multi-drug resistant pathogen, having advanced antibiotic resistance mechanisms and it is generally associated with serious illness. Participants in the study volunteered to be part of an explorative treatment that was built on previous findings from a research group for a cystic fibrosis study in 2014. “These patients had an excess of a particular antibody in the bloodstream. In contrast to the protective effect normally associated with an antibody in these patients, the antibody stopped the immune system killing the Pseudomonas aeruginosin bacterium and this worsened the patients’ lung disease. Perhaps counter-intuitively, we decided to remove this antibody from the bloodstream and the outcomes were wholly positive,” explained Professor Ian Henderson. “We needed a brand new way of tackling this problem. Working with kidney and immunology experts, we used a process known as plasmapheresis that is somewhat like kidney dialysis. The plasmapheresis involved the removal, treatment, and return of blood plasma from circulation, and was done 5 times in a week in order to remove antibody from the patients. We then replaced antibodies with those from blood donations. This treatment restored the ability for the patients’ blood to kill their infecting Pseudomonas,” explained Dr. Tony De Soyza. Both patients in this study reported rapid improvement in health and well-being, greater independence, and improved mobility compared to any point in the previous two years. This also marks the first description of antibody-dependent enhancement of bacterial disease. The application of this particular method may be wide spreading to other bacterial infections and offers hope in the fight against antibiotic-resistant infections.